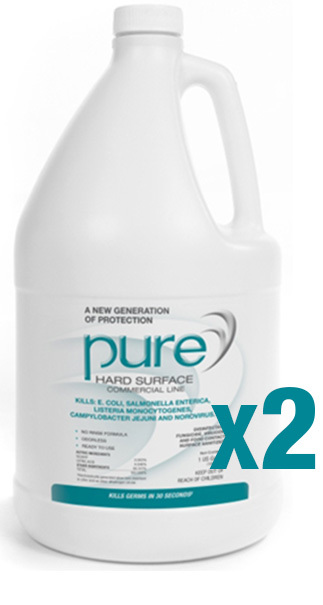 2-pack of 1-gallon size jug of PURE® HARD SURFACE disinfectant, which kills a broad spectrum of viruses, bacteria and fungi. Odorless, no bleach or alcohol, protects surfaces for 24 hours. Convenient size, easy for carrying and for travel.